Dear Students, SBI Clerk 2019 Official Notification has been released for the recruitment of 8593 Junior Associates(Customer Support and Sales). 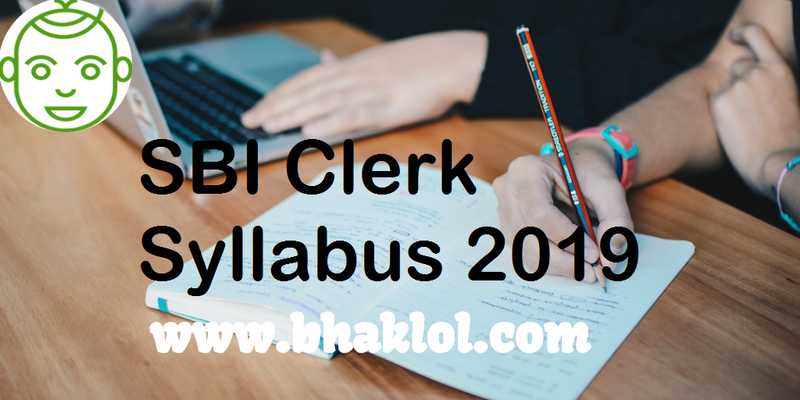 We are sharing SBI Clerk Exam Pattern and Syllabus 2019, also List of Topics Generally Ask in SBI Clerk Exam. >>Each test will have a separate timing as mentioned above. >>There will be negative marks for wrong answers in the Objective tests. 1/4th of mark assigned for question will be deducted for each wrong answer. >>The questions in objective tests, except for the test of General English, will be bilingual i.e., English & Hindi.